Besides that, one of your questions just got stuck in my mind since then. When we discussed about some trending topics in Indonesia, one of your concern was about hijab trend in Indonesia. You wondered whether hijab trend shows us that the general society (or specifically Hijabi women) becoming more religious. As I was also wondering about it, I didn't have much foundation to give my opinion. So I did a small research towards my hijabi friends - but unfortunately none of them are hijaber (a term to call a trendy hijabi). 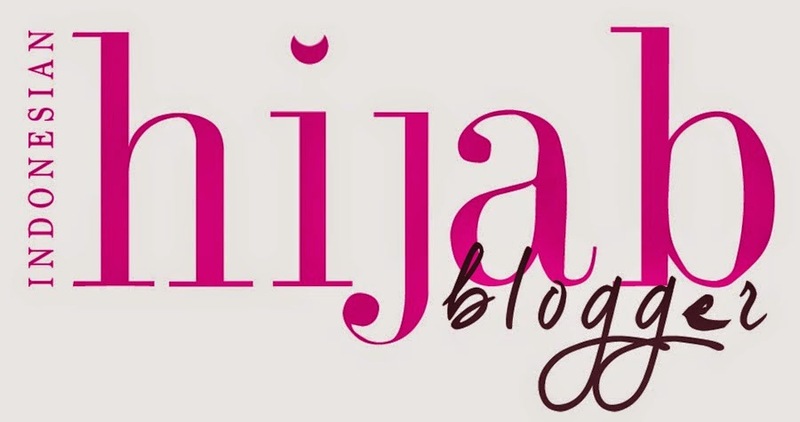 Most answers that came to me agree in two things: hijab is an identity and a reminder. While we can say only muslimah wear that kind of specific hijab (because there are various kinds of headscarf in the world), it's not automatically change a person to be a religious one. From what I've learned for all this time, wearing hijab is a compulsory for us and we shouldn't be questioning it. It is same with us wearing any other kind of clothes. We never think why we should wear this kind of clothes, or some certain kind of clothes. We just think we need to wear proper clothes. That's it. However, to give you deeper insight, and this is all only my personal observation. I can be wrong and I don't want to force all hijaber out there to have the same point of view with me. But for me, what you meant was just a fashion trend. Since it is a fashion trend, it might change fast or disappear in the near future. For example, me myself never change my hijab style since I start wearing it permanently two years ago. But because nowadays it is a fashion trend, no wonder when you see a beauty hijaber wear specific what-so-called hijab style, many other hijaber will ask 'show me how you make your hijab like that'. Yes, now that is what I call ridiculous. 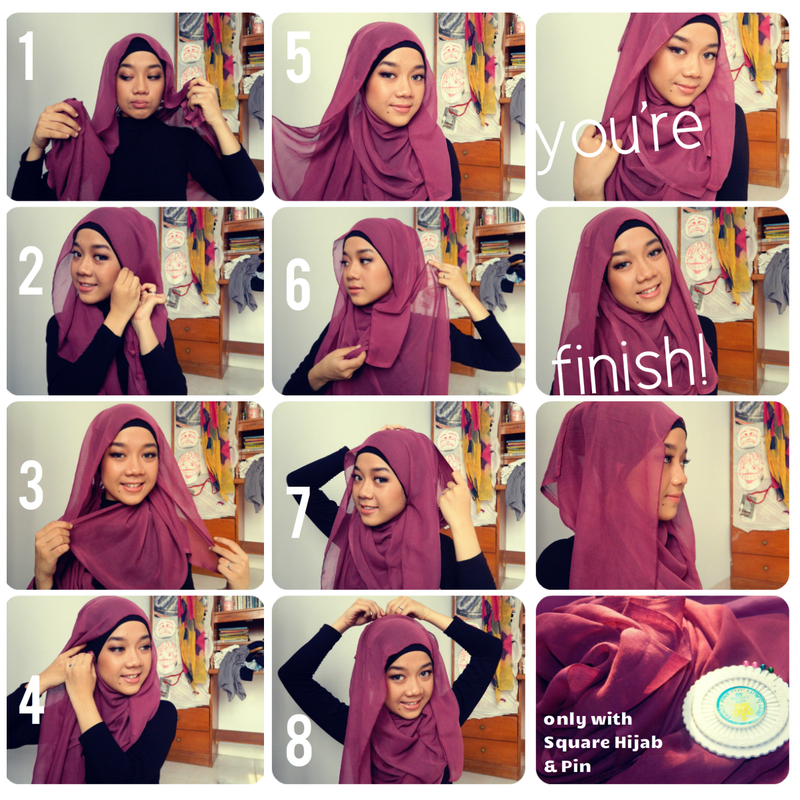 this is one of hijab tutorial, in case you wondering.. However, this trend can be good too. As most people (especially hijabi like my friends and I) will think there is nothing great about wearing a headscarf; we do hope that it brings positive impact for our surrounding. While Muslims are proud to be the major number in Indonesia, we still have to face the reality that some work sectors don't allow women workers wearing hijab in the workplace. For example: mass media, manufacturing company, or bank. It's quite strange actually, because in this democracy country, we have the right to say what we want; but not wearing what we want. So, while personally hijab is expected to bring us to be a better person in God's eyes; generally I would consider the hijab trend in Indonesia is a social movement. To get the right that we deserve. That's all, I hope it answers your curiosity. Have an awesome day! In my country it is allowed to wear a hijab, where I am not allowed to wear a head band, as it is not religious to my country what I do: they prefer that people are religious to make sure they are good as they are, so they discriminate me where I am a human being, for I have religion that says that people are human beings just like me! Aaaah, emang nice post sih ini, cocok untuk akulturasi budaya. ditambah lagi pake bahasa Inggris yang memang universal, jadi orang luar Indonesia untuk kepo budaya lebih gampang lagi hahaha.